Danny O’Brien celebrates his third win of the season at Brockville Ontario Speedway on Saturday, July 7. (Photo by Rick Young). O’Brien will be back in action this weekend with a pair of events in the Border Battle Series. 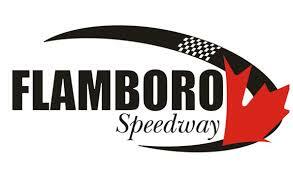 He’ll run the first of two 35-lap Features on Friday, July 13 at Can-Am Speedway in Lafargeville, NY before returning to Brockville on Saturday, July 14. For additional event information, visit www.racecanam.com andwww.brockvillespeedway.com.